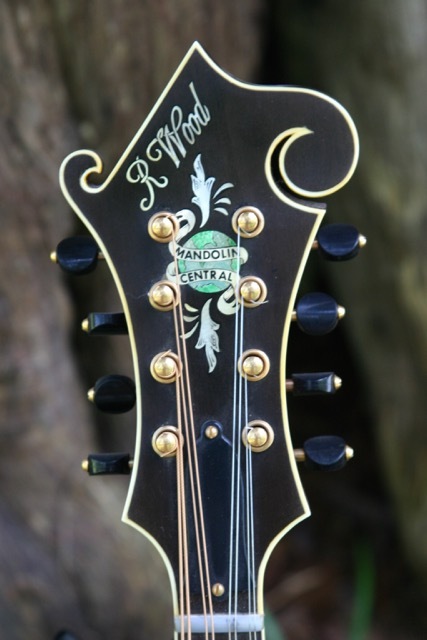 We have decided to offer for sale the very last example of a limited edition run that Randy did expressly for Mandolin Central. 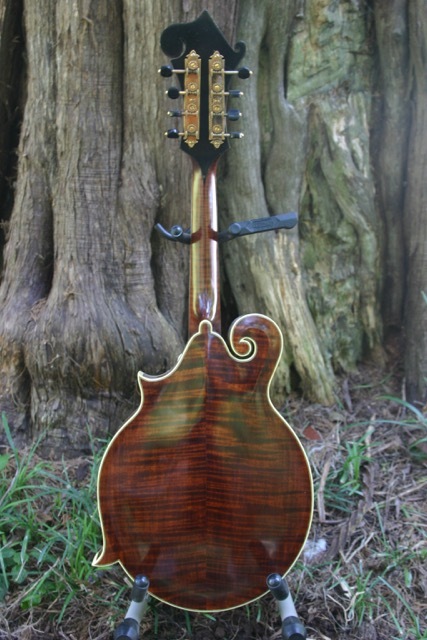 Its features include red spruce top in a gorgeous golden pumpkin-colored finish and amber-brown finish on highly flamed maple neck, back and sides; gold vintage-style tuners, a custom Mandolin Central log inland in varied colored abalone and Randy's own handmade tailpiece plated in gold. It was tap tuned by the master and features the amazing sound to be expected with all his fine mandolins. Price: $8500.